A comprehensive speech and language/cognitive evaluation is completed prior to a client enrolling in individual or group speech therapy. 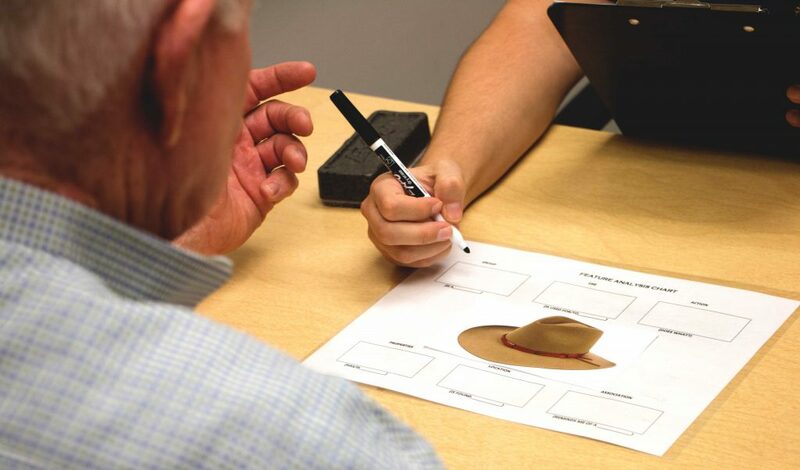 The evaluation includes a brief client/caregiver interview, vision screening, hearing screening, oral-peripheral examination, and a combination of formal/informal diagnostics. The results of the evaluation assist clinicians in determining the most effective treatment plan. 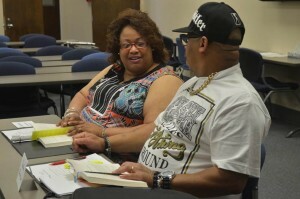 Group therapy provides individuals with meaningful social interactions. Opportunities are given to participants to enhance the four language modalities (verbal expression, auditory comprehension, reading and writing), practice successful communication strategies, and build socials skills with fellow stroke/TBI survivors. Group therapy session topics have included the following: Book Club (offered Spring and Fall semesters), Travel, Cooking, Famous People, and What’s Your Story. Session topics will vary each semester. Group therapy is facilitated by graduate clinicians along with a supervising clinician. The University of Alabama Speech and Hearing Center Adult Clinic and Caring Days of Tuscaloosa, an adult day program for individuals with dementia, have partnered to provide graduate clinicians with a training experience geared at working with individuals with dementia. Learn more about this program on our Community Service-Based Learning page.